Unworn Rolex 116200. 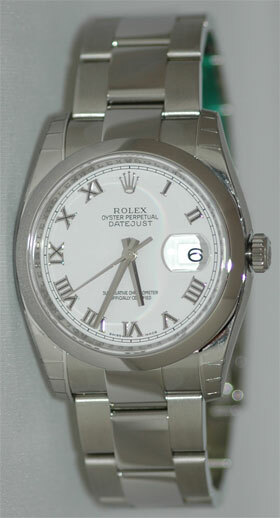 This is the latest release Mens Datejust in stainless steel with White Roman dial. The updates include heavier bracelet with new clasp, polished center links and polished lugs. Box and papers included.